Importer: Aiko Importers, Inc., Mount Pleasant, S.C.
An impressive vodka in a impressive bottle for less than Avian Fashion Victim Vodka. Notes: This vodka is produced in Yaroslavl, a city in the Golden Ring near Moscow. 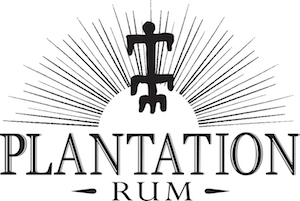 Based on a 300 year old recipe from a master distiller, they use selected wheat and water drawn from a 1500 ft deep artesian well and is distilled 5 times then filtered 5 times each using the usual Russian method of paper,sand then birch charcoal used for the highest grades of vodka, then an additional filtering through silver- which some believe to have various health benefits. Produced at a state distillery and given the “luxe” (type 3) designation of the highest grade of vodka by their government.They also produce Regalia Gold, a version of this vodka with additional filtering through gold and aged in white gold vats for 6 months before bottling. Appearance: Crystal clear, no sediment whatsoever. Limpid shining pool in the glass. On swirling, it leaves a thin clear coat on the inside of the glass with long thin legs. Wonderful bright appearance. First Impression: Alcohol and grain, plump,almost creamy texture to the smell. No trace of off-notes, or the smell of rubbing alcohol that many other vodkas suffer from. A carefully done distillation. Taste: Plump grain body glide past the tongue nipping at it with the alcohol edge and nice lingering finish. Slight sweetness with the higher notes from a good wheat grain. Slightly oily and wonderfully thick body but not too heavy- this is the kind of body that cheaper vodkas strive for by doping with sugar, glycerin, or vanilla but this vodka comes by it honestly. Drinks: Already very clean to start with, chilling it down makes it even more smooth. Excellent temperature, maybe too good cold. Martini* was excellent (with olive or twist). All the other drinks benefited from the minerally taste and smoothness of this vodka. It stands out more than most without overwhelming the drink. *Use Noilly Prat and keep the vermouth refrigerated after opening for the best taste. 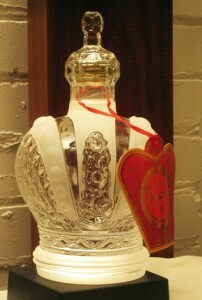 Bottle: Clear and sandblasted blown glass “etching is done only by females under 35 -the ones with the surest hands,” and as its name might suggest, the bottle is in the shape of a fat Russian crown! 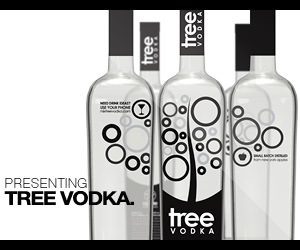 Certainly stands out from all the other vodka bottles out there! Final Thoughts: One of the few vodkas that are actually worth paying over $25 for. Less money than either Stoli or the Avian Fashion Victim Vodka, with more depth and complexity. Fast loading, in English, with lots of photos of handblown brandy bottles, but a bit light on information as to what is in them. Site des not work well with Firefox.